When it comes to finding a job – whether your first job or your tenth job – being highly qualified is only half the battle. It doesn’t matter how high your GPA was in college or how far you have climbed the corporate ladder if you underwhelm your potential employer in the interview. 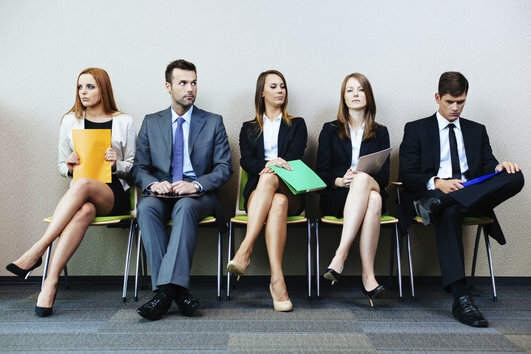 More often than not, an employer will hire a less-qualified candidate if they are personable and interview well. How Do You Make Yourself Irresistible to Potential Employers? Some people just have a way with words. They are comfortable around new people, they love to talk, and they make a great first impression, which is what an interview is all about. Some people, on the other hand, lack confidence. They are nervous around strangers, they struggle to communicate clearly, and they simply do not interview well. So what are the major differences between these two groups of people? It tends to come down to self-worth. The good news: this confidence is not something that these people just have. It is something that is learned and maintained daily. It is something that most people can accomplish. Treat Everyone with Respect. Irresistible people treat others with the respect they deserve. It doesn’t matter if you are talking to the garbage man or a potential employer – everyone deserves respect. Remember, it doesn’t matter how nicely you treat your potential employer if they witness you being disrespectful to someone else, like the receptionist or another candidate. Just remember the Golden Rule: Treat others as you want to be treated. Small Talk –Small Chance. Irresistible people know how to make an emotional connection. It’s actually pretty simple; be yourself. Don’t rely on small talk to get you through the day, let alone an interview. If you really want to make an emotional connection with a potential employer, or anyone for that matter, it is important to ditch the small talk and open up. Genuine Interest. Irresistible people have a genuine interest in others. It’s not something you can easily fake. You have to mean it. You have to actually show an interest. It’s what makes an irresistible person’s charm seem so effortless. So focus on what people have to say. Don’t talk at them. Talk to them. Let It Come to You. Irresistible people don’t try too hard. They don’t dominate the conversation. It can be hard not to brag in an interview, but that is an urge you will have to try and resist. Let the conversation happen naturally. A Smile is Contagious. Irresistible people smile…a lot. It is a proven fact that people mirror the body language of others, so if you act happy your potential employer will unconsciously mirror your behavior. Always Look Your Best. Irresistible people make an effort to look good. NFL Hall of Famer Deion Sanders once famously said, “If you look good, you feel good. If you feelgood, you play good. If you play good, they pay good.” While not grammatically correct, it gets the point across. The clothes make the man (or woman), as they say. Be Yourself. Irresistible people are themselves. Be authentic. Be you. It’s that simple. Are these all skills you have mastered? Are you irresistible? If so, you are exactly what we are looking for! Please call Mary Kraft – Staffing and HR Solutions at 410-296-0655 to discuss your staffing needs and/or career opportunities. You can also sign up for our free newsletter here! You can also click here to learn more information as well. And don’t forget to follow us on Facebook, Pinterest, LinkedIn, and Twitter today! Mary Kraft Staffing was founded in 1989 and has since partnered with industry-leading healthcare, financial, commercial and service industry clients to increase productivity and drive cost savings through an array of flexible, cost-effective staffing and outsourced HR options. Quality Personnel is the lifeblood of any organization. Are You About to Graduate From College? Mary Kraft is partnering with a local Commercial Real Estate company to fill a position for an Assistant Property Manager. The ideal candidate will assist the Property Manager with enforcement of all aspects of a commercial lease and keep all properties maintained in first-class condition. The candidate will also be responsible for communicating with tenants on lease related issues, scheduling inspections, monitoring contracts and warranties, and coordinating tenant move-in and move-out procedures.